The thing to notice here – Lee Sedol is one of the finest players of GO. He has 9-dan rank, the highest possible rank in the game of GO. He has won 18 international titles and has won more than 70 percent of games in his career. AI defeating a world-class player is a huge breakthrough in the field of Artificial Intelligence. This has happened many-a-times before including the victory of Deep Blue over Chess Grandmaster Garry Kasparov in 1997, but the victory of AlphaGO is different. This is because the game has no fixed patterns like Chess or other board games. The game is played according to the strategies of the opponent. AlphaGO is an AI based algorithm designed by Google DeepMind, a London-based company. Owing to the concept of chess, AlphaGO is the computer version of a Chinese game- GO. 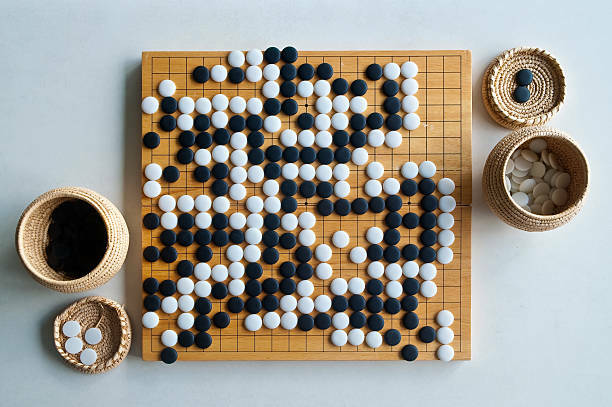 GO is based on sequencing the stones on the square board that consists of around 10^170 combinations. This number is higher than the number of atoms existing in the universe. The game is played on a square board that allows you to play, move and arrange black and white stones in the combinations that are uncountable thus making it quite tricky and difficult. It’s played on a 19-by-19 flat grid and with the round pieces called ‘stones’. One player uses black stones and the other uses white. Black and White take turns placing and places their stones on the empty intersections on the grid. The player spends the game and tries to border or surround the stones of the other. If you are a black team, the white will try to surround you or will try to block your moves, and vice versa. The game ends when all open spaces on the board have been surrounded. Players receive points for the number of spaces they’ve surrounded. The aim is to cover at least 50% of the board. The points won from covering the board are subtracted from the points of the opponent. If you have more points, you win. GO and chess are quite similar in some aspects. Both are played by two players taking turns, and both involve no dice. In chess, each player begins with 16 pieces of six different types. Each piece moves differently. The goal of the game is to take over the opponent’s king. GO starts with an empty board. At each turn, a player places a stone on the board. All the stones follow the same rule. The Goal of the game is to capture a larger area and should surround the opponent as much as possible. GO might appear simpler than chess but the complexity of GO is higher. Reason being, a player faces about 35 moves in chess. In GO, the number of moves is about 250. 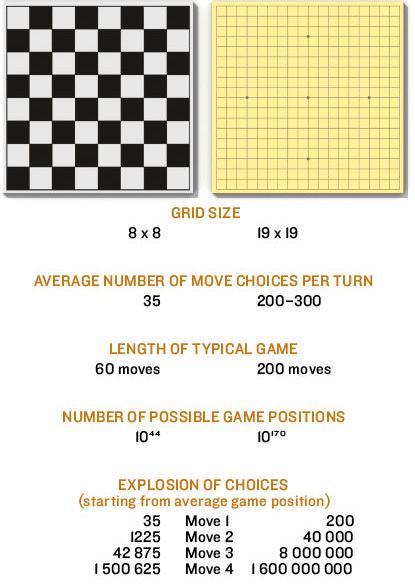 The duration of GO is much higher (150 moves in GO vs. 80 in chess). Well, it implements deep neural networks that are made up of artificial neurons capable of receiving large inputs and outputs and analyzes these layers at a good speed. These neuron trees help figure out optimum combinations stacks into the layers and the most desired move for covering the opponent. This Artificial Intelligence program is capable of figuring out the moves that the opponent did not even imagine. After testing it several times, AlphaGO was introduced for the human players. As sounds, it seems a tedious task but learning from the previous mistakes, many of the players started playing it with an utmost interest in order to make suitable trees. Fan Hui, the European Champion and an expert of GO, was defeated by the AI program with the score of 5-0. From then, AlphaGO has made very remarkable and monumental achievements and has defeated many of GO champions. Till now, AI is the only known most intelligent computer program and is sweeping out the traditional ways for executing the activities. The achievement of AlphaGO is sure to open new doors of opportunities, improvements, and accessibility of technology in many conventional and non-conventional activities.